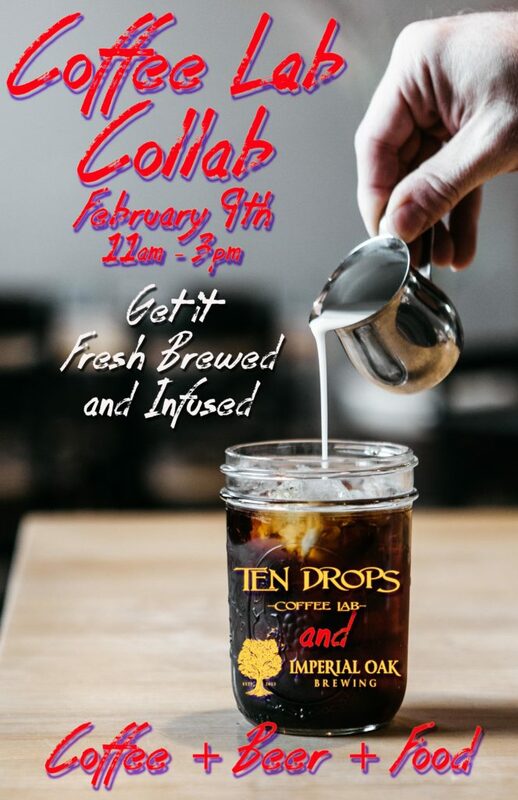 Join us and our good friends at Ten Drops Coffee Labs as we once again bring you a day of coffee and beer! On Saturday 2/9 from 11am – 3pm we will be offering pour over samples, several coffee beers, nitro cold brew and food from Roaming Hog. Ten Drops will also have beans available for sale. More details and the beer/coffee lists coming soon.